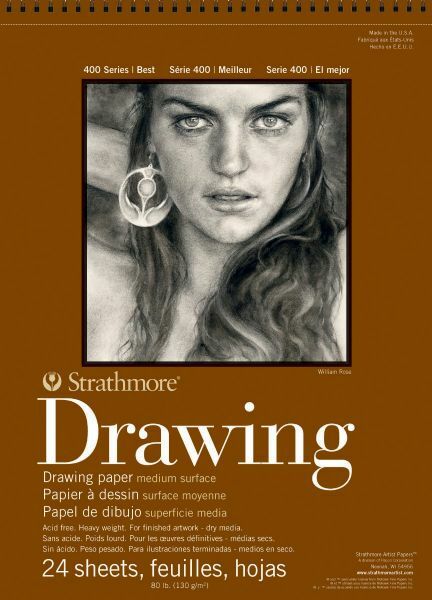 One of the most versatile sheets Strathmore offers, this cream colored 400 series drawing paper is a heavyweight 80lb acid free paper with a medium finish and is ideal for sketching and most finished work. The non reflective surface and uniform formation is especially suited for line drawing and technical work. It is wire bound and sheets are micro-perfortated so they are actual size when removed at the micro-perforation.